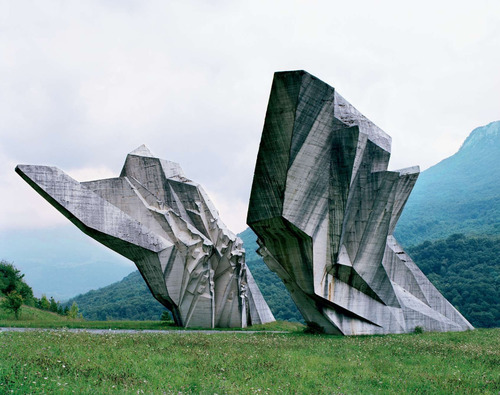 A series of photographs from photographer Jan Kempenaers, profiling forgotten Soviet monuments throughout the Balkan region. 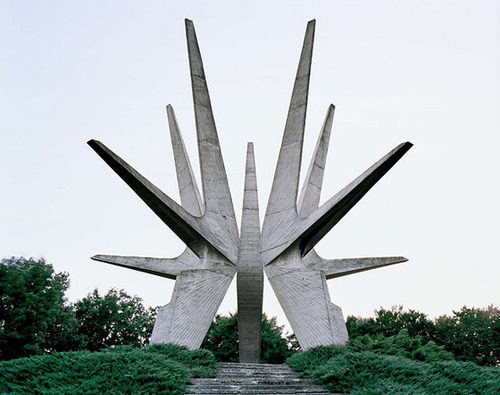 In the 60's and 70's, Yugoslavian president Josip Broz Tito comissioned a series of colossal memorials to be built in honor of WWII battle sites, while also demonstrating the (seemingly) inextinguishable power of the Soviet state. In their heyday, these structures attracted thousands of visitors a year. Yet, as Communism crumbled, public interest waned, and when the Yugoslavian Republic finally dissolved, people simply stopped coming. After which, what happened? 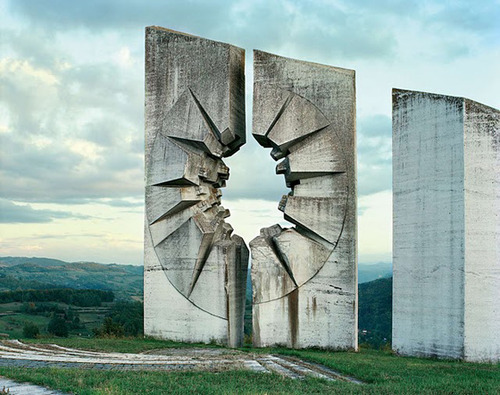 These places became abandoned parks, neglected fields. Someone has a backyard with one of these hunched structures stuck at the far side of their property like a derelict automobile, a gnarled white tree trunk. Perhaps they can see a lone spire in the distance from their bathroom window, perhaps it's a drag to push their lawn mower out there and mow around its jutting, cracked base. I imagine a lone man on a bicycle, a delivery person in a mail truck, an old woman and her dog and both children now grown and gone someplace different. 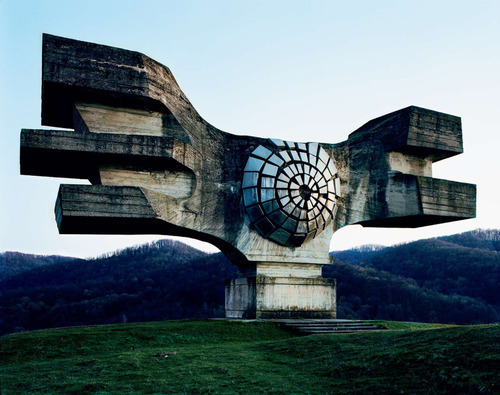 Each day she passes by one of these relics - still, immense, sinking into the ground. And with each pass, slowly forgets just what it is she keeps looking at.